What Is Chronic ITP ? Chronic ITP is a complicated disorder of blood. The bone marrow is the seat of formation of healthy platelets. According to allopathic system of medicine - Due to certain unknown reasons, the platelets are destroyed within the blood and condition is called Chronic ITP or Chronic Idiopathic thrymobocytopenic Purpura. What Is The Objective Of This Paper ? 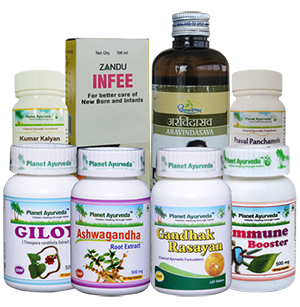 There are certain Ayurvedic medicines which help in this condition and we want to spread awareness in the world about the efficacy of various Ayurvedic and Alternative ways to increase platelets and provide natural cure for ITP. Thrombocyte is another name for platelets. "Penia" is the word used in medicine whenever the cells are low. For example Neutropenia when the neutrophills are low. Leucopenia when the white blood cells are low. Ayurveda offers a very good natural cure for thrombocytopenia and is much better than many other alternative medicine treatments. In medicine, whenever the cause of diseases is not known, then they are named as Idiopathic. 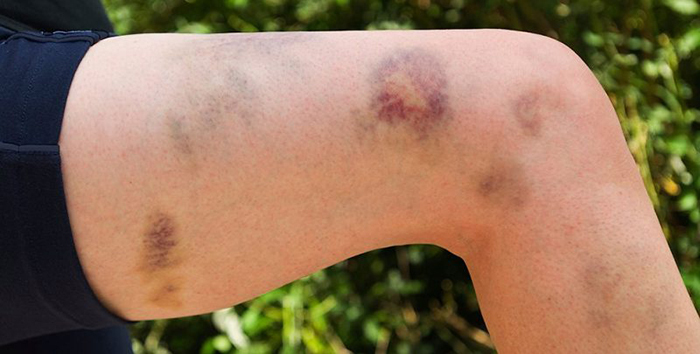 Purpura is a term used by doctors whenever there are red spots on the skin or bruises due to any reason. There are many reasons for Purpura and there are many types of Purpura, but ITP or Idiopathic Throbocytopenic Purpura is a typical disorder where Platelets are destroyed and do not improve in count. ITP is an auto-immune disorder of unknown reasons where platelet membrane proteins associated with our immune cells called IgG ( Immuno-globin -G type ) are seen in serum but still it's sure. It persists for years or even for whole life. Sometimes there can be serious bleeding episodes which can be dangerous too. There can be life threatening intracranial brain hemorrhage bleeding sometimes. So it's very important to find various natural ways to treat thrombocytopenia. Allopathic medicine or the modern medical system is struggling to cure ITP patients. It has developed many latest techniques but there is still no cure in modern medical system for ITP. It is labeled as incurable disease in modern medical system. Many times the platelets are infused. It is a cumbersome procedure for the patient and causes a lot of problems. The steroids like Wysolone, Predmet or Dexona (Prednisolone etc) are given to boost the platelet formation but such steroids has many side effects. They can cause Diabetes in the long run and also cause hormonal imbalance, acne, gas formation, acid formation, pimples, rashes, weak bones, thin fragile skin, weak eye sight, mouth ulcers, stomach ulcers, round face and water retention, hair loss and many others. Even after use of steroids, many patients they are not cured and still continue to suffer from low platelet counts in their blood. Then these patients are admitted to hospitals and given platelet infusions or other immunosuppressant medicines like Azathioprine, cyclosporine or sometimes cyclophosphamide. Newer biological therapies are also given, which are also called Biological therapy or Immunological therapy or IV Ig. These Immunoglobulins are given to bring the patient to a remission state which is short lasting and the problem comes back again. There are medicines like Revolade (Eltrombopag) and Tranexemic acid to stop bleeding are given. There are several side effects of Eltrombopag like pain in abdomen, diarrhea or constipation, anxiety, headache, dry mouth, and muscles pain. Other than immunosuppresants or IV Ig and other such treatments which are expensive, time consuming and not giving good results. Ayurveda has a lot to offer in the treatment of Chronic ITP. I have seen very good results using Ayurvedic medicines in various ITP patients. There are pure herbal and some herbomineral medicines used in Ayurveda for treatment of ITP. I have seen excellent results in ITP patients after using these natural remedies described in Ancient ayurvedic texts. In Ayurveda, ITP is not mentioned as ITP. 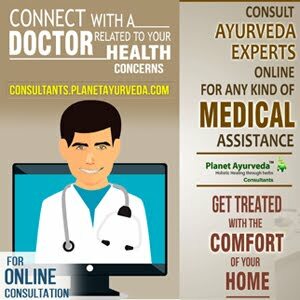 Ayurveda is more than 5000 years old medical system of India. It has explained certain blood disorders and all the symptoms for the Pitta imbalance disorders are similar to ITP. In Ayurveda we are treating the Pitta imbalance in the patients of ITP. The disease responds very well and the results are remarkable. Chronic ITP is an auto-immune disorder. In Autoimmune disorders, our own immunity attacks our own cells. In this case, our immunity starts destroying platelets. It's like our country's own army starts to attack our own people. The solution is not a nuclear bomb ! Steroids and Immunity suppressants are not the answer to this immunity war against platelets. They just start destroying and suppressing our immunity and does not try to modify it. The Ayurvedic herbs and herbo mineral compounds work as quick immunity modifying agents. It's like trying to negotiate with the army and bringing them back to sanity ! The immuno-modulation works ! ! It helps to rogue immunity to learn and understand who is enemy and who is not. So the approach of immuno modulation is required rather than immuno suppression. There are certain herbs like Ashwagandha- Withania somnifera ( I use Ashwagandha for males ) and Shatavari / Asparagus racemosus ( For females) which help to build up with platelets. The other herbs like Carica papaya ( Papaya leaves) leaves are very helpful. Other than this, I am using Red and Green juices. In Red Juice, I would recommend you to start drinking juice of Pomegranate, Carrots, Beets, Apples and red grapes, 200 ml to 400 ml per day for adults and 50 ml twice daily for children ( 2 to 14) and 25 ml twice daily for children less than 2 years. In Green juice, blend the leaves of wheat grass, fresh coriander leaves, fenugreek or spinach leaves, some lettuce and green grapes. Try to avoid heating herbs like Tulsi and mint. As ITP is a Pitta disorder ( due to fire element imbalance ) Coconut water is highly cooling and highly recommended. I am using products like Pitta balance, which contains cooling coral calcium and pearl calcium. Another wonderful herb to improve platelet count is Giloy ( Tinospora cordifolia). This is a twiner and twigs of Giloy are useful to increase low platelet count. I am using Giloy Satva or standardized extract of Giloy twigs. 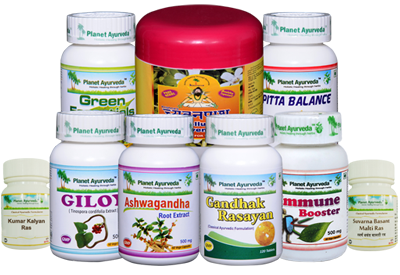 All the herbs which I am using are Planet Ayurveda herbs as I am procuring them fresh and from organic cultivators. Other than Ashwagandha, Shatavari, Carica papaya and Giloy, I am using some herbo mineral preparations. I have seen the results within few days of using these products, as quick as 3 days ! The herbo mineral preparations are Swarn Basant Malti Ras tablets. 1 tablet twice daily is recommended. There are another 2-3 which are good for ITP. These are Maha Laxmi Vilas Ras, Vasant Kusumakar Ras, Balark Ras, Jayamangal Rasa and Kumar Kalyan Ras. Other than the above mentioned medicines of Ayurveda, I am using Cap. G- Plat which also helps to increase platelet counts naturally without any side effects. Thromobcytopenia according to Ayurveda is a Pitta disorder and Pitta imbalance can be treated by balancing the Pitta dosha. Ayurveda principles believe in that our body is made up of 5 elements - Earth, Water, Fire, Air and Ether. When the Fire element imbalance is there, then the body burns the healthy platelets. The Raktagni ( Fire of blood tissue or metabolism of blood formation) is faulty in this case. The above mentioned combination help to restore this metabolism and also prevent auto antibodies to attack the platelets. Since it is defined as an Auto-immune disorder, all milk and milk products should be avoided for a few months until the problem is resolved. Milk, Curd, Yogurt, Cheese, Butter milk, Lassi, Chaach, Sweets and Shakes are all avoided. All packaged foods should be avoided, packaged juices, Biscuits, Packaged breakfast cereals, packaged corn flakes etc. All Citrus fruits and spicy foods should be avoided. Spices like Ginger, Tulsi, Turmeric, Black pepper, Chillis and such hot spicy items should be avoided. All cooling herbs like Sandalwood ( Red sandalwood powder for internal use and white one for external use ), Vasaka, Pomegranate, Carrots, Red Grapes, Coconut water, Roses, Marigold, Lajjalu, Dhatki, Arjuna, Priyangu, Ashoka and gems like Corals and pearls are good as they are cooling. Also avoid direct sun light, spicy soups, alcohol, beer or wines, avoid vinegar and all sour and citrus fruits like oranges, mosami etc. All pickles and chutneys should be avoided. You can consume Mint chutney made with Mint and Coriander leaves. Infact Coriander leaves juice is good for you. It's cooling. Don't use too much mint. Coriander leaves you can use as much you want. Sheesham leaves juice (Dalbergia sisoo), Durva Ghass juice is good, Marigold flower juice is good. All the above mentioned dietary plans and cooling herbs are not for curing the ITP problem from the root but to prevent any episodes of bleeding or deteriorating the condition further. These help in clotting and prevention of bleeding in ITP patients. The combination of medicines mentioned above should be consumed for remission and complete cure of the problem from the root. 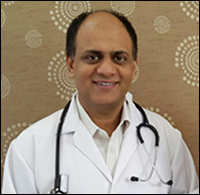 My Experience With ITP "Dr. Vikram Chauhan"
I did my BAMS graduation and after that I am doing Ayurvedic practice since year 1999. Later I joined my post-graduation MD in herbal pharmacology which was a 3 years regular course. 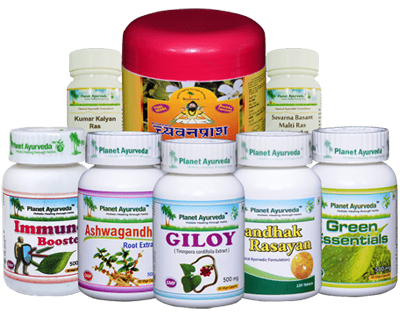 Meanwhile I started developing Ayurvedic products and established my company of herbal formulations in the name of Planet Ayurveda. Slowly the company grew up and the products got famous in many countries. While I was doing clinical practice and treating patients suffering from cancers, kidney failure, liver failure, Psoriasis, Eczemas, tumors, cysts, fractures and all kinds. I never treated ITP patients until an evening someone from 250 km called me. She is mother of a 7 months old child and was very much in stress. Her child was suffering from ITP. The day the child was born, they were taking him to hospitals every now and then and were suffering too much mentally, financially and in every way. While she called, I asked her to start with Giloy, Swarn Basant Malti, Kumar Kalyan ras, Balark ras and some more products as I mentioned above. The counts were never above 20,000. She called me on Friday evening. By Monday morning, the child's platelet count was more than 50,000. After 2-3 more days, it went above 100,000. They were surprised and they visited me in my clinic. I added more Ayurvedic medicines. Stopped steroids and other ongoing treatments and my wife who is also BAMS (Gold medalist) and MD (Alternative medicine) doctor suggested me Why not you givesome medicines to the mother as well. Slowly after seeing their video, many more patients came and to my surprise, most of them recovered very all. All of them had positive results and many were very very complicated cases but all had positive results. There were many more videos on this topic and I uploaded them all on my channel. I devised a special diet for ITP. After treating so many patients of ITP in last 3 years, I believe the modern medical doctors should come forward and do some research on this topic. Now it's 2018. I am planning to start a clinical research on Ayurvedic medicines for ITP or various natural ways to increase platelet count. I plan to publish the research for the benefit of mankind in near future. I have too many other patients also which are getting good results in problems like Ulcerative colitis, Cancers, Psoriasis, Gout, Neurogenic conditions, Low heart ejection fraction, Kidney failure and liver failure and so on. Ayurveda has a lot to offer. I would suggest all Ayurvedic students to study it with your heart. It has a lot of potential.